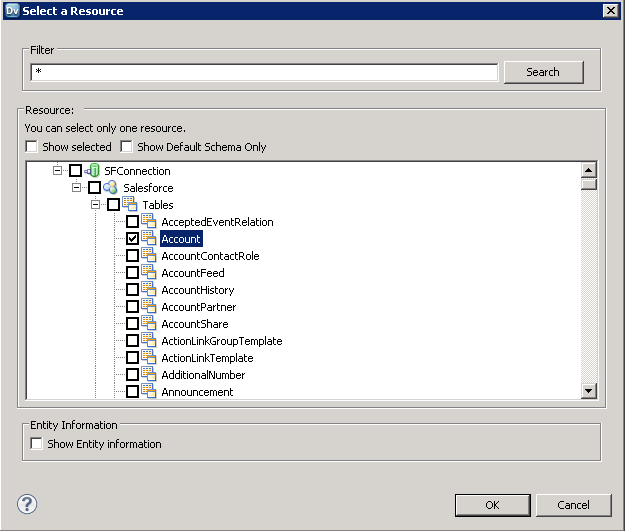 Create Marketo data objects in Informatica using the standard JDBC connection process: Copy the JAR and then connect. Informatica provides a powerful, elegant means of transporting and transforming your data. By utilizing the CData JDBC Driver for Marketo, you are gaining access to a driver based on industry-proven standards that integrates seamlessly with Informatica's powerful data transportation and manipulation features. This tutorial shows how to transfer and browse Marketo data in Informatica PowerCenter. To deploy the driver to the Informatica PowerCenter server, copy the CData JAR and .lic file, located in the lib subfolder in the installation directory, to the following folder: Informatica-installation-directory\services\shared\jars\thirdparty. In the Connection Explorer pane, right-click your domain and click Create a Connection. 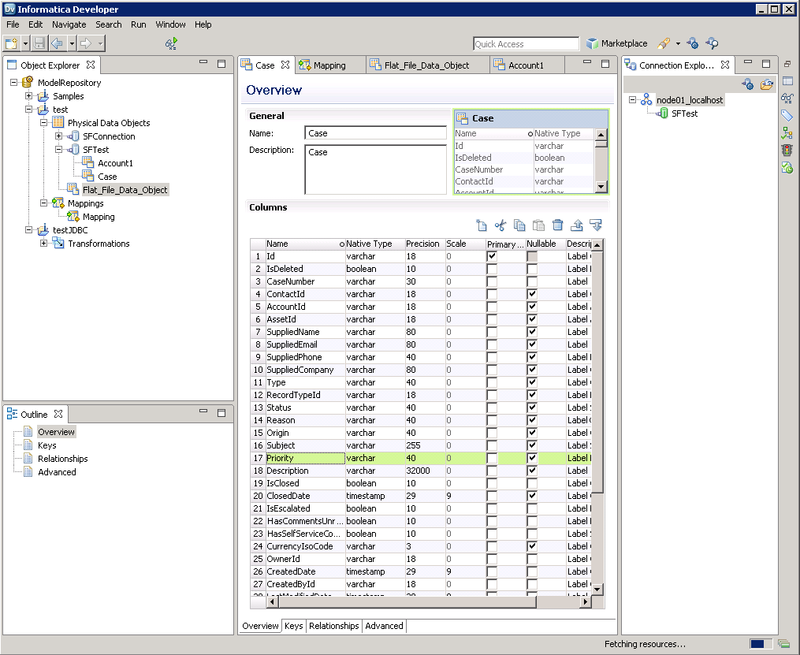 In the New Database Connection wizard that is displayed, enter a name and Id for the connection and in the Type menu select JDBC. Both the REST and SOAP APIs are supported and can be chosen by using the Schema property. For the REST API: The OAuthClientId, OAuthClientSecret, and RESTEndpoint properties, under the OAuth and REST Connection sections, must be set to valid Marketo user credentials. For the SOAP API: The UserId, EncryptionKey, and SOAPEndpoint properties, under the SOAP Connection section, must be set to valid Marketo user credentials. See the "Getting Started" chapter of the help documentation for a guide to obtaining these values. In the Connection Explorer, right-click the connection and click Connect. Clear the Show Default Schema Only option. You can now browse Marketo tables in the Data Viewer: Right-click the node for the table and then click Open. On the Data Viewer view, click Run. Select tables in Marketo, then right-click a table in Marketo, and click Add to Project. 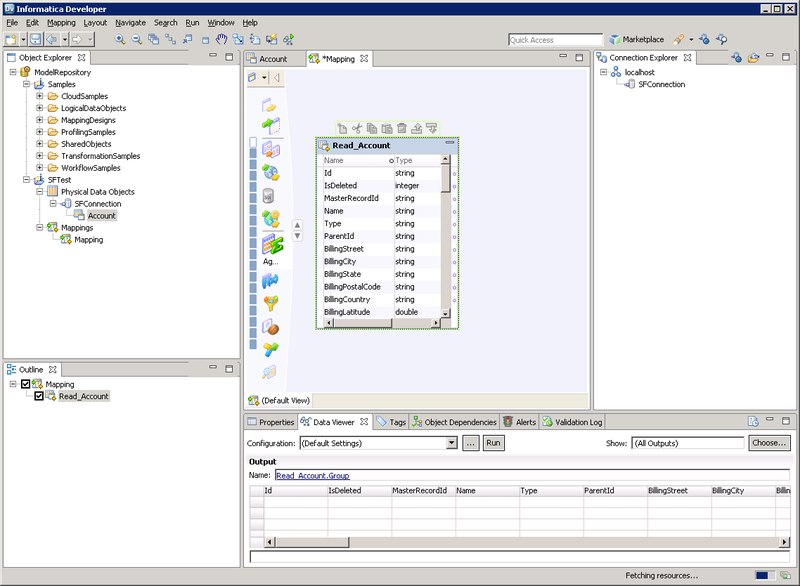 In the resulting dialog, select the option to create a data object for each resource. In the Select Location dialog, select your project. In the Object Explorer, right-click your project and then click New -> Mapping. 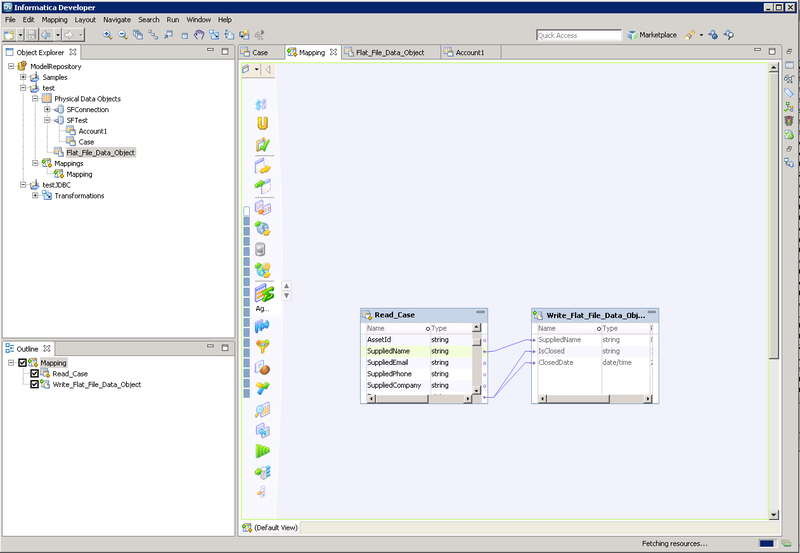 Expand the node for the Marketo connection and then drag the data object for the table onto the editor. In the dialog that appears, select the Read option. In the Object Explorer, right-click your project and then click New -> Data Object. Select Flat File Data Object -> Create as Empty -> Fixed Width. In the properties for the Marketo object, select the rows you want, right-click, and then click copy. Paste the rows into the flat file properties. Drag the flat file data object onto the mapping. In the dialog that appears, select the Write option. Click and drag to connect columns. To transfer Marketo data, right-click in the workspace and then click Run Mapping.